Labour minister Patty Hajdu discusses summer jobs funding in a HuffPost Canada interview in Toronto. OTTAWA — Canada's labour minister says she's willing to rejig the language of the controversial attestation that faith groups, not-for-profit organizations, First Nations, and small business must sign in order to qualify for federal student summer job funding. But not until next year. Speaking to HuffPost Canada Monday, Patty Hajdu, the minister of employment, workforce development and labour, suggested the firestorm of criticism was due to concerns over the meaning of "core mandate." "I think there is room to make it more clear in the years going forward that that's what we are getting at but again, whatever we do, it will be still with the policy goal of ensuring that we don't in any way support organizations that are in any way working to undermine Canadians' rights," Hajdu told HuffPost. The Canada Summer Jobs application for 2018 requires that applicants attest that both the job and the core mandate of the organization respect individual human rights, including women's reproductive rights, and the rights of gender-diverse and transgender Canadians. 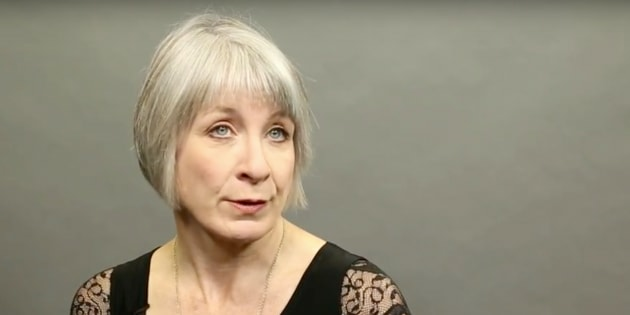 Hajdu argues that the attestation was necessary because the government learned that activities such as student protesting women at abortion clinics, or groups, such as the Canadian Centre for Bio-Ethical Reform, were lying about what the funds would go towards, "for example, producing graphic pictures of aborted foetuses." There were also summer camps run by some faith groups — "and I should say that it is not unanimous, there are a variety of different kinds of faiths and different perspectives — but some groups that [ran] summer camps for kids that either wouldn't hire kids that were LGBTQ or had codes of conduct for campers that said if they were in a homosexual relationship that it was considered a violation of the camp code of conduct," Hajdu said. "Well, you know, this is not in line with sort of the Charter or the way that our country understands relationships. And, in fact, it is against the labour law, you cannot discriminate against people who are LGBTQ in a hiring situation." With some 40,000 applications, and the ability of MPs to select what groups should get funding depending on their personal interests, Hadju said an attestation was thought to be the simplest way to sort through the pack and ensure public funds weren't going to activities that the government would not support. However, it has drawn the ire of groups who feel they are being compelled to affirm beliefs held by the Liberal government that they do not share. "The promise of a free and democratic society is that there be no religious or ideological tests or conditions to receiving government benefits or protection," wrote 87 faith leaders to the government in January. "The changes to the Canada Summer Jobs guidelines and application not only violate the fundamental freedoms of faith-based organizations, they also significantly impact the broader communities served by their programs, often the most vulnerable in Canadian society," they said. The Conservatives have organized against the new attestation — or what they call [Prime Minister Justin] "Trudeau's values test." Last week, they forced a vote in the House calling on all MPs to ensure that organizations that engage in non-political non-activist work, such as feeding the homeless, helping refugees, and giving kids an opportunity to go to camp, should be allowed to access Canada Summer Jobs funding regardless of their private convictions and whether or not they sign the attestation. Only one Liberal, Newfoundland MP Scott Simms, and one New Democrat, David Christopherson, opposed the move. (Christopherson has since been punished by his party for not toeing the NDP line). The Tories are now, according to a report in the National Post, launching ads directly aimed at Liberal MPs in competitive ridings. But Hajdu has no regrets about the government's decision, and doesn't believe it over-reached.